According to Mr. CoKehyeng, the four-word phrase prompted a visit from Ryan Flannagan, the university’s director of student affairs. “He saw that it wasn’t inciting hate speech at all, so he let that one slide,” said Mr. CoKehyeng. No one filed a complaint and of course Flannagan must not have seen it right? CAUT in the act of censorship and selective breeding of human thought on university campus. To bad they weren’t as supportive of academic freedom as they purport. 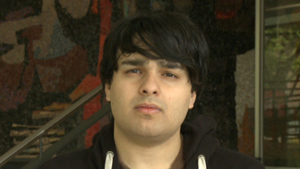 “seventh-year human rights student Arun Smith” …..W T F !!!???? Oh well, freeloading by any other name…. Kudos to Mr. CoKehyeng. Much blood was shed to preserve the right to express your thoughts and feelings. Keep up the good work! How cowardly that many academics want to stifle differing opinions and substitute empty platitudes instead. How Marxist of them. Yeah, we’re all shocked by this I’m sure. I wish O’Malley and others were around when this was happening. 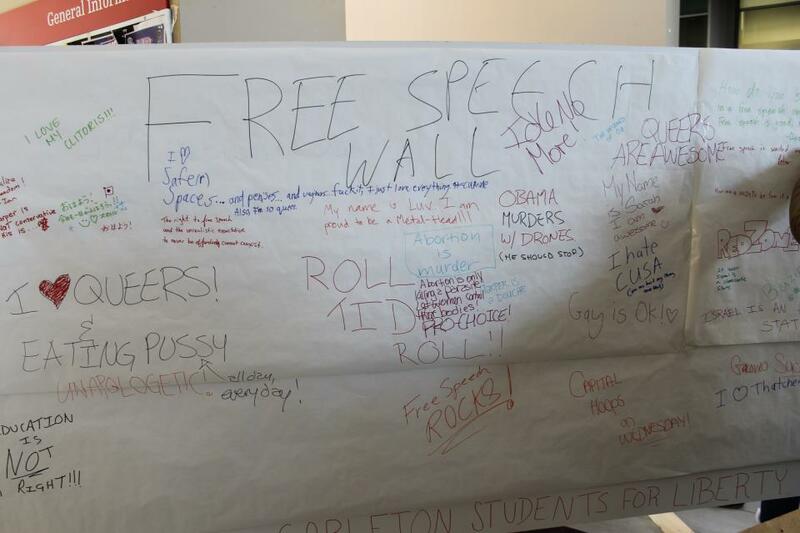 carleton, a veritable bastion of ignorance. Our universities have devolved into adult daycare centers for emotionally challenged adults, or so it appears. Progressives poison everything they touch, my opinion. This reminds one of the CHRC apparatchik who stated that Freedom of speech was an American concept, that his commission gave it little value. Unfortunately he is far from alone in sharing that viewpoint, particularly in Canadian institutions of higher education. Can anyone explain why we continue to subsidise these cesspools of indoctrination? My daughter has just been accepted to Carleton for next fall. Have to rethink where she should attend school perhaps. Then again it seems like all universities in Canada are like that these days. Scary!